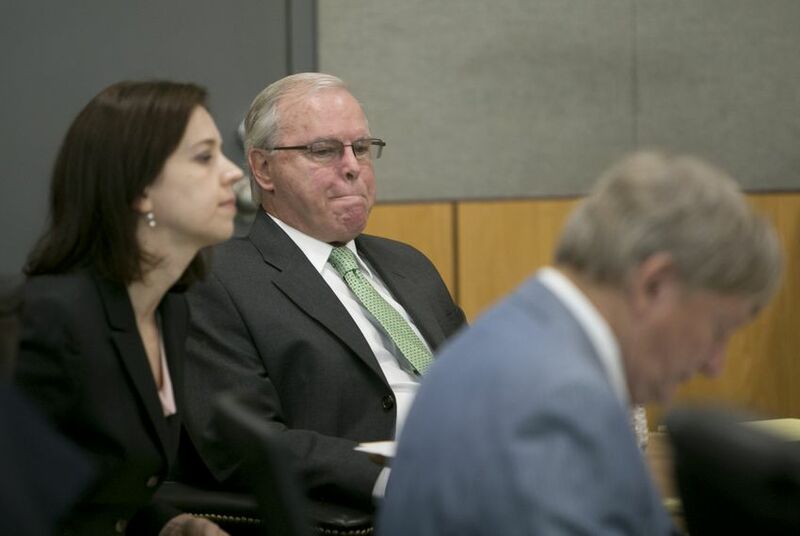 Jerry Cobbs, the former chief commercialization officer of the state agency known as CPRIT, misled his colleagues to get the grant approved, Assistant District Attorney Rob Drummond said during opening arguments before a 12-member jury in Austin. Cobbs pleaded not guilty to a charge that he unlawfully secured the grant to a Dallas-based biotechnology firm now known as Peloton Therapeutics. Cobbs was indicted by a Travis County grand jury in 2013 on the first-degree felony charge, punishable by five to 99 years in prison and up to a $10,000 fine, if he is convicted. His criminal trial is expected to last about a week. Jenny Brevorka, a lawyer representing Cobbs, said he had become a “scapegoat” for other problems at CPRIT, an embattled state agency that three years ago faced allegations of corruption over how it awarded state money to commercial research projects. Brevorka characterized Cobbs as a hardworking man “at the intersection of finance and medicine” who had been unfairly scrutinized after a rival at the state agency criticized him in the news media. The case centers on whether Cobbs misled CPRIT officials to believe that the grant to Peloton, then known as Damascus Pharmaceuticals, had undergone a required business or scientific review. Alfred Gilman, former chief scientific officer for the agency, resigned from CPRIT in 2012, citing concerns over whether scientists applying for cancer-research grants were encountering a "functional peer review system.” That triggered multiple state investigations into the agency, and the Legislature temporarily froze CPRIT's grant-making activity. The state auditor ultimately found three grants that were approved without proper review. Drummond described the case as a characteristically Texan “rivalry between Houston and Dallas,” pitting two men with big personalities — Cobbs, of Houston, and Gilman, a Nobel Prize-winning scientist in Dallas — against each other. Brevorka admitted the Peloton grant was never reviewed by CPRIT’s commercialization committee under Cobbs, but she said it never received a required review by Gilman’s scientific committee, either. CPRIT awards money to fund scientific research as well as commercial ventures meant to translate laboratory research into profitable drugs and therapies. The agency, which has a budget of $3 billion over 10 years, also funds cancer prevention and screening initiatives. The indictment against Cobbs is the result of a larger investigation by the state public integrity unit, which also looked into alleged misspending by other CPRIT grant recipients. A spokesman for the public integrity unit has said the investigation was delayed by Gov. Rick Perry's line-item veto of its funding during the 2013 legislative session — an action the governor took after Travis County District Attorney Rosemary Lehmberg declined to resign following a drunken driving arrest.